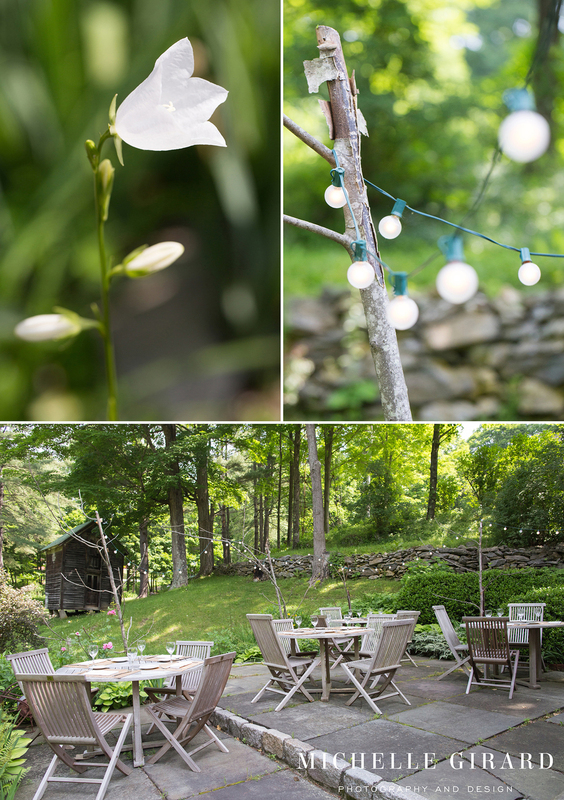 If you're looking for a great meal with an emphasis on local fresh and seasonal ingredients and/or a beautiful, natural feeling space for a wedding or event, you should know about John Andrews Farmhouse Restaurant in South Egremont, MA. 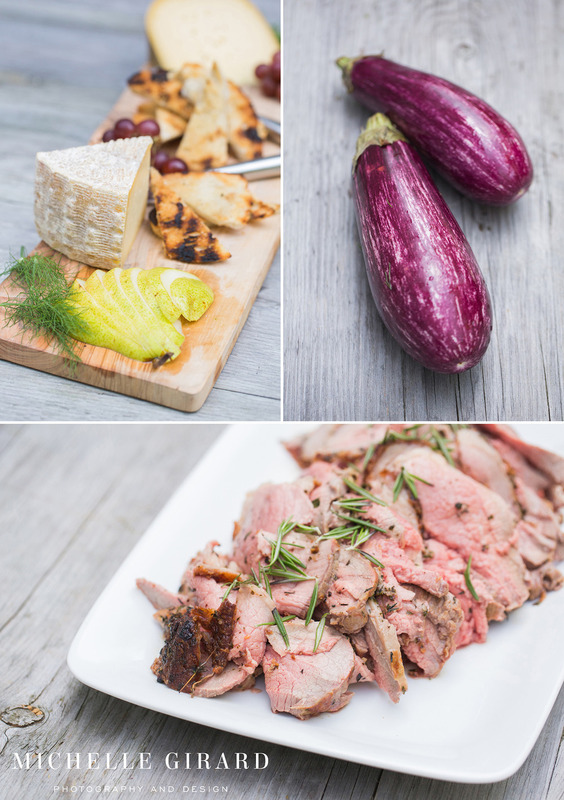 I just had the opportunity to photograph the food and surroundings at John Andrews Farmhouse Restaurant, as well as see the chef, Dan Smith, in action and I have to say I was impressed. 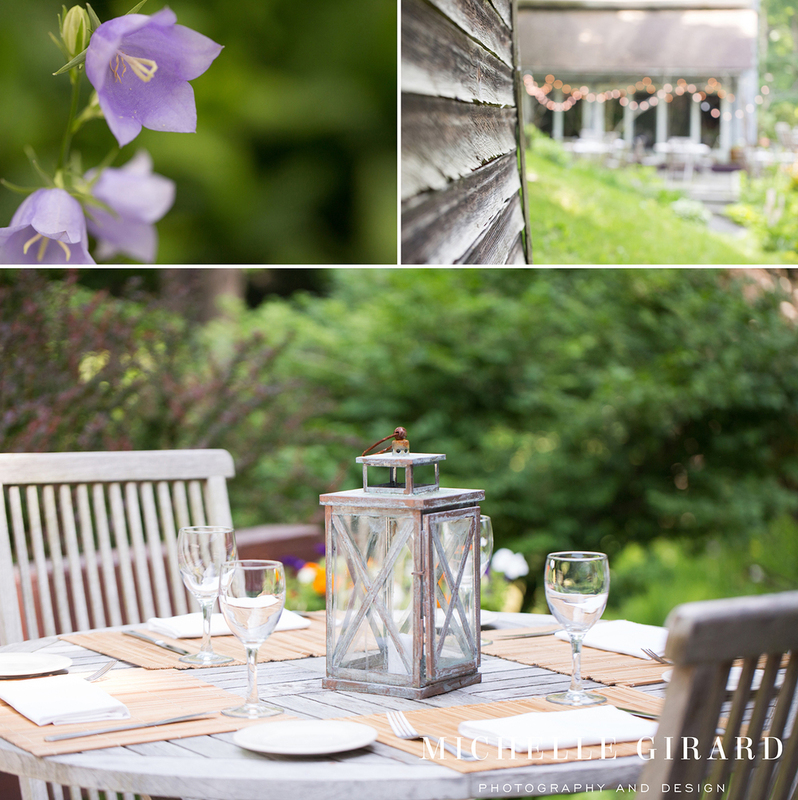 The restaurant's outdoor setting really works with its surroundings, there's a rustic, country charm that just highlights the natural beauty in the Berkshires. The back porch, where there is outdoor seating, is set along a rock wall that leads your eye to an old ice house with a great fire pit set even further back. I can just picture a great night with friends around the fire drinking and eating! There are lights strung around the porch on large branches which sets a nice mood. Inside the atmosphere of the restaurant mixes a warm coziness with a few modern touches. Oh, and did I mention, there is plenty of space for a tent for a larger celebration out back! And the food! I only tried some bread and a salad (it was a heck of a salad) while I was there and I absolutely loved it. Dan Smith has a real sense for flavors and for presentation, which, for me at least, is part of the fun of great food! He setup a spread that I would be proud to have at any gathering. But enough of me telling you about this place.. check it out for yourself below!